Wishon Quarry and Crane Valley Dam Restoration | Prunuske Chatham, Inc. 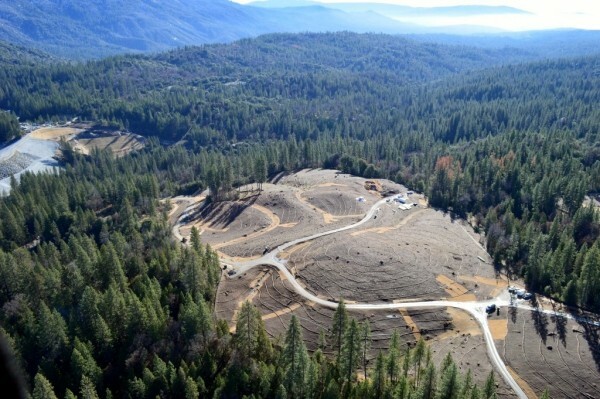 In 2012, PG&E completed a seismic retrofit at Crane Valley Dam, the embankment that forms Bass Lake, a popular US Forest Service recreational area. 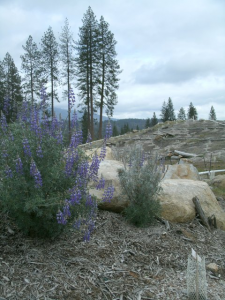 A project-specific quarry was developed adjacent to the site on USFS property to supply the project. To restore both the 8-acre quarry site and the 32-acre stockpile and processing areas, PCI developed a conceptual grading and site landscape architecture plan, revegetation and soil restoration plans, and natural channel design. Goals were to restore this heavily disturbed site so that it would blend back in with the surrounding forest and waterways ecologically, visually, and hydrologically. PCI also led the restoration implementation, from supervision of soil treatments, to installation of woody debris for wildlife, to creation of natural channels with local rock and supervision. Over 25,000 container plants were installed, and the site was seeded with native grass seed of local provenance. PCI maintained and monitored the site through five years of plant establishment. Monitoring results show that plantings are thriving, surpassing project targets, and native grass cover has become well-established.